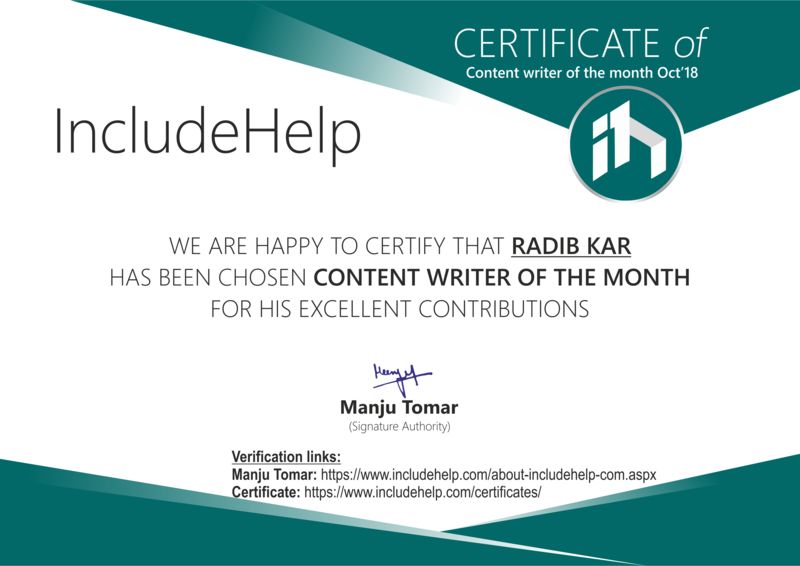 We are feeling glad to announce that Radib Kar is the Content Writer Of The Month (October 2018) on the basis of his excellent contribution and her support to us. 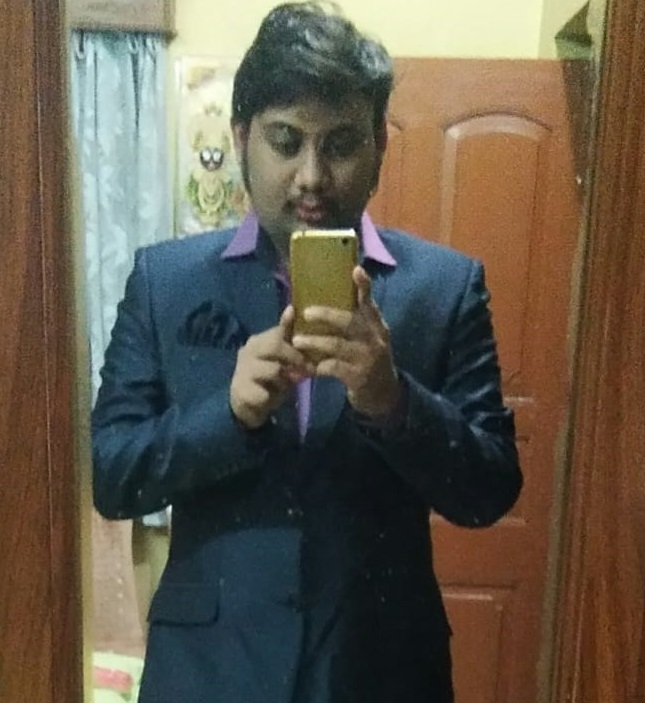 It has been only a month I have started my journey with IncludeHelp. I am really honored that I am bestowed the "content writer of the month". It has been a great experience so far and hopes it will continue. IncludeHelp is a great platform where the geeks like me are constantly delivering their best technical knowledge. I am a data structure & algorithm lover and I believe these are the basic building blocks for any computer science domain. That’s why I mainly write on data structure & algorithm topics and hope to continuously impress my readers as of now. Looking forward to a great run. Thank you IncludeHelp.